Bosses can pay more, says 50% of the British workforce, according to a YouGov poll commissioned by the Trade Union Congress (TUC). 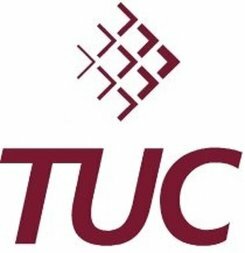 The four-day Trades Union Congress, attended by over 500 delegates from more than 50 trades unions representing about 6 million members, starts today in Liverpool. On top of their agenda will be the squeeze on public sector pay, attacks on unions and the prospect of further public sector strikes. Half of UK workers believe their bosses can afford steeper pay rises than those currently being given to staff, while just 16% believe they can’t. Among private sector workers, 56% say their bosses can pay more, compared to 13% who disagree. 21% say their employer could not afford it. Fifty-eight percent of respondents say their income has failed to keep up with inflation, compared to just 20% who say it has. Growing inequaltiy – forty-seven percent say wages lower down in their organization have increased at a much slower rate compared to those higher up, while 17% disagree. Fifty-seven percent complain that the pay gap is too wide, versus 12% who disagree. The smallest majorities in these positions were found among employees earning more than £50,000 ($81,637) a year – but even there, the majority still complain in much the same way. The TUC says it is about time British workers started enjoying the benefits of the economic recovery. Worker participation – forty-eight percent of respondents believe that all employees should have a say in the salaries of those at the top of their organization, compared to 20% who disagree. Twenty-eight percent think their performance-related pay system is not done fairly, compared to 19% who are happy. A higher percentage of public sector workers (65%) say the pay gap is too wide, while 53% complain that income for those lower down has risen more slowly than for those at the top. In an interview in the BBC’s Andrew Marr Show, Ms. O’Grady said British workers are not sharing in the benefits of the economic rebound. She predicts there will be both industrial action and protests in the months to come. Last week, a study published by the Federal Reserve, showed that the wealth gap in the United States is widening.